Hey fam! Happy Monday! Or something - are Mondays ever really happy? Let's change that! Today I'm sharing another Monday Muse post, which features my hobbies other than reading. 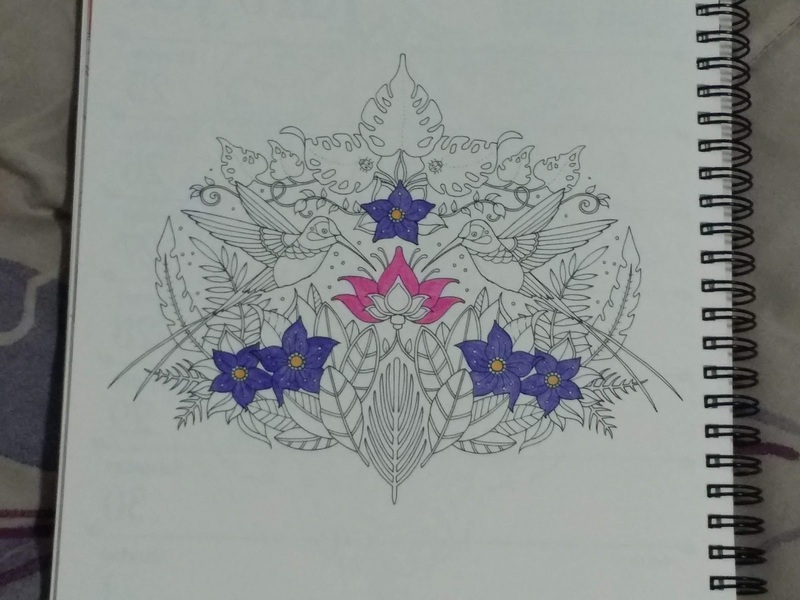 I'm still coloring in my Johanna Basford 17-18 planner! I love coloring. There is something so relaxing about it. Who says adults can't color?! 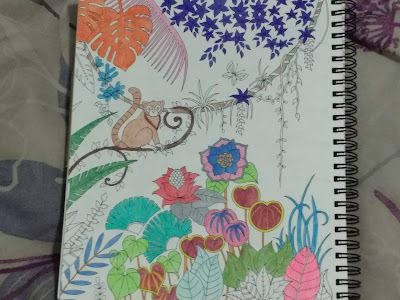 This page is one that I had started last week, and I'm almost finished with it. There are so many tiny details! I got a little bored with it but I will finish this week. I love the hummingbirds. 😍 I can't wait to color those. Puppy in a mailbox! That is the cutest thing ever😁 Hope you have a nice week, Alyssa! Cute pic and have a great week. I've been coloring a lot last week because I was at my mom's for a week and it seems I can only focus on coloring when I'm there + I got new gel pens that are so aweome. 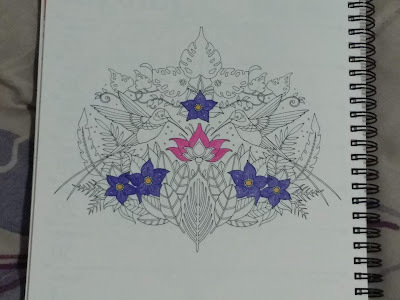 I love Johanna Basford's coloring books but it's been a while since I bought one. Might have to look into it again! I love this. Coloring while listening to a book is like my favorite thing in the entire world. August 2018 New Release Giveaway!